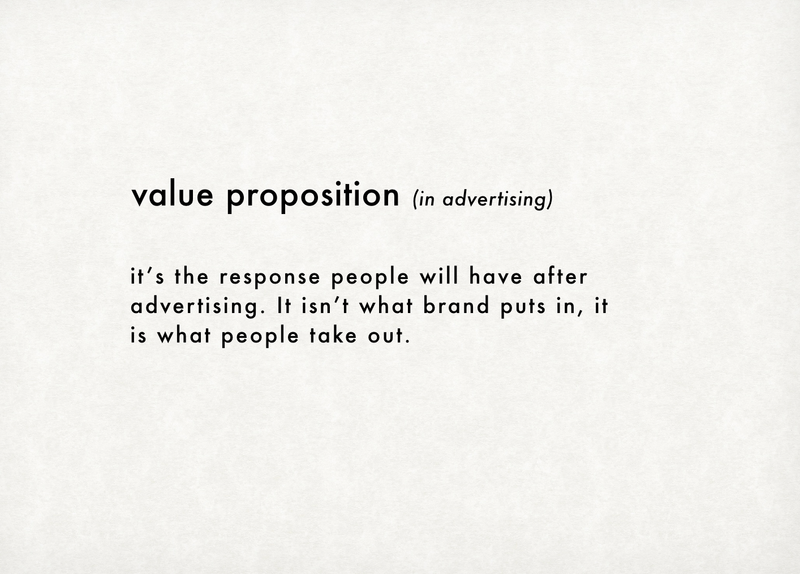 Value Proposition is an OUTPUT, not INPUT. Since the 1960s, Stephen King has reshuffled the advertising process from focusing on campaign input to campaign output. 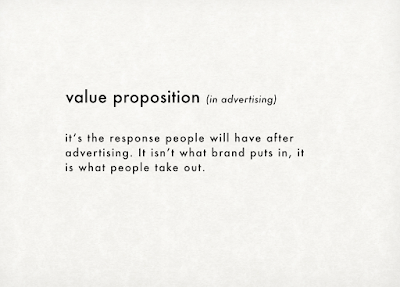 It means a re-definition of the "value proposition", which is no longer a key message that we repeat and repeat until consumers remember, but a response we want people to think, feel and act after the campaign. 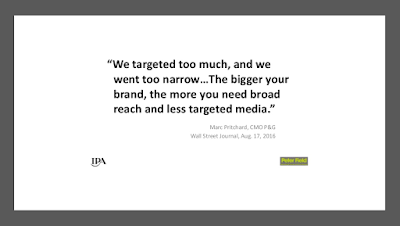 "No longer saddled with the responsibility of delivering a proposition like a missile warhead into the consumer camp, they [creative department] were liberated to create anything they wanted as long as it delivered the desired outputs - even a hot-air balloon might fit the brief. 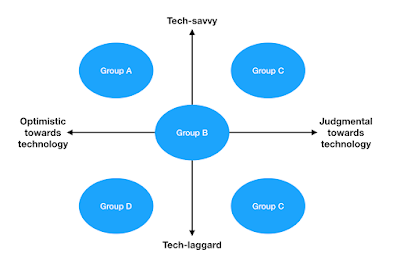 Designing for outputs simultaneously freed and focused the creative task."